This classic 1946 cottage has all the charm of the past but ready for the future. Gleaming oak hardwood floors and custom tile in the kitchen and baths. Retro kitchen w/custom tile floors & euro-style exhaust hood. Free standing stainless gas range, newer dishwasher and display cabinets. Stroll up the brick-ribboned walkway to the front porch and enter the large living room featuring brick fire and ice burning fireplace accented in granite. Large bay window lets the sun into the dining area. Recessed lighting, plaster walls and crown moldings finish the room. The main bath has a tile and glass, dual head steam shower & skylight. The master bath features travertine shower w/rain glass enclosure. Elegant master bedroom has sliding glass doors out to the covered patio. Mirrored closet wardrobe doors to one closet plus a large walk-in, custom designed closet. The rear yard has lots of green and play areas. Palm trees and brick planters add color to the spacious yard. Pavered sun patio. Newer 30 year composition roof, 200 amp electrical panel, copper plumbing with a tank less water heater and water softener adds to the list of features. Gated parking, detached 2 car garage w/ storage and laundry. Newer windows & new gutters. Walk to the plaza or the train depot, old towne is a step back in time, a lifestyle and a neighborhood. Pool home!!! 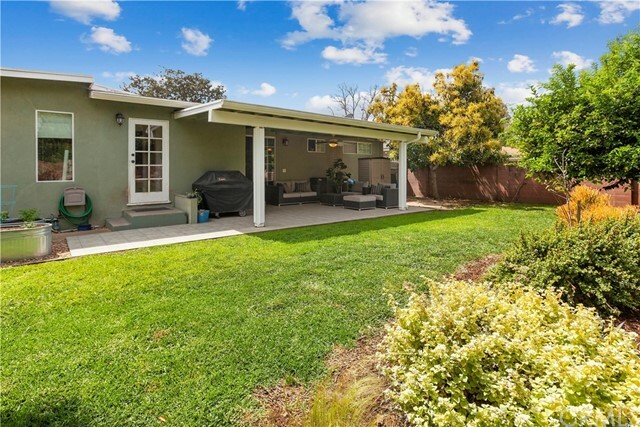 Large mid century ranch home in the city of orange. 4 bedrooms and 2. 5 baths this home sits on a large 11,500 sq. Ft. Lot with an abundance of outdoor living space, including a large pool, large front yard, and a show stopping oversized front porch— with custom wood ceiling and ceiling fans, perfect for entertaining or family time! Mid century character can be found throughout this home, from the original wood paneling and horizontal cut stone on wood burning fireplace to large built-in closets and cabinets in two bedrooms. Original hardwood floors compliment newer ceramic tile floors. An additional flex space off the children’s bedrooms and can be used as an office or playroom. The gathering room off the kitchen has a wall of windows that open up to backyard. This space can be used as a large formal dining space and/or family room, in addition to the living room in front of the home with large picture window overlooking porch and front lawns. Tucked behind the garage is a small victory garden perfect for growing herbs and vegetables. Original cabinets can be found in the kitchen, along with a new stainless steel dishwasher and vintage o’keefe & merritt stove. Adjacent laundry room offers overhead cabinets/utility closet with side door with driveway access perfect for loading/unloading groceries. 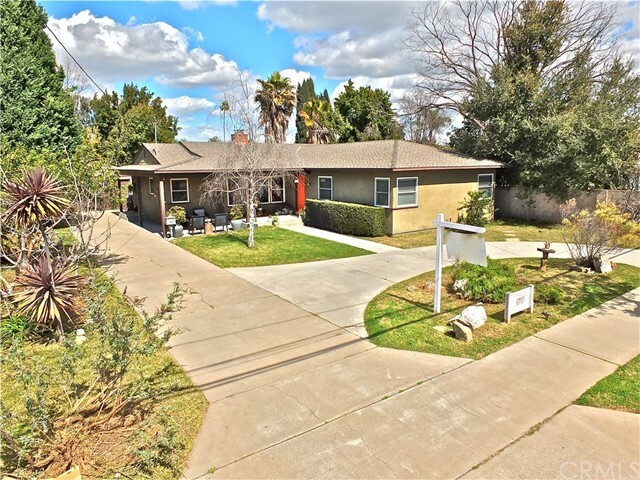 Home is centrally located, close to historic orange circle, restaurants, and chapman university. Close freeway access to the 22, 55, 57, and 5. Btv sq. Ft.
Remodeled beauty, newer roof, dual paned windows, garage door, added air conditioning/heating,newer interior 6 panel doors and hardware. Entertainers kitchen w/granite counters, cherry cabinets & stainless steel appliances! Remodeled bathrooms, master bedroom boasts a walk- in closet, individual laundry room, recessed lighting through out this beautiful home. Open floor plan with art deco fire place in dining/living room. Extend your living space to the h-u-g-e backyard with circular patio plus 6 person spa with arbor. Ready to move in--- no banks to wait on. Click on photos to enlarge. Amazing location and move-in ready! 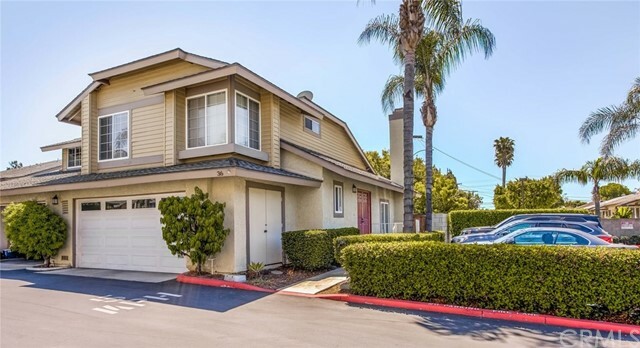 ~ just a short walk or bike to the celebrated orange circle including outstanding restaurants, parks, antique shops, train station, choc, st. Joseph's hospital and chapman university! 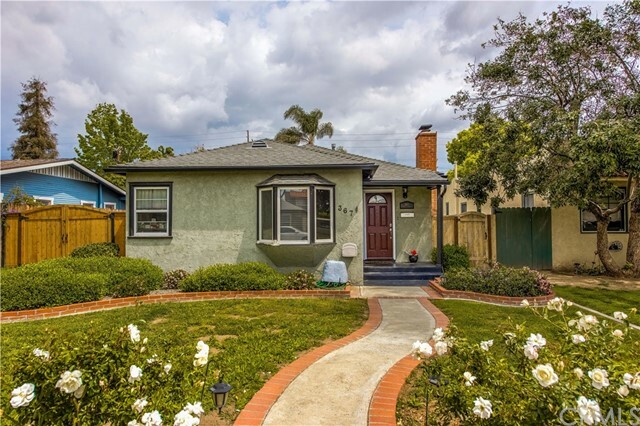 Charming craftsman remodeled home offers 4 rooms, 2 baths an open floorplan with an abundance of natural light! Spacious updated kitchen includes granite countertops, built in pantry, plenty of cabinet space. Enjoy the exceptional style and character of a large front porch, custom window shutters, original wood flooring, fresh custom paint inside and a new front door. For more peace of mind, the home has central ac and heat. In addition, upgrades to home include whole house copper re-pipe, retractable screen doors, new roof and a new water heater all replaced in 2012. The home's finished 2 car garage includes epoxy flooring, built in cabinetry and a workbench. Get ready to relax in the lush landscaping, raised vegetable garden and covered backyard patio with lighted ceiling fan. Abundance of fruit trees ~ avocados, lemons, grapefruit, orange, mandarin, lime and apple. Hurry, this special one won't last! Charming single story home with tons of curb appeal! Boasting 3 bedrooms, 2 bathrooms, approximately 1,542 square feet of living space and a massive bonus room! Beautiful hardwood flooring throughout, vaulted ceilings, recessed lighting, fireplace and bay window in the front creating lots of natural light. Beautiful butcher-block kitchen over looking the living room with a new stainless steel fan vent, stainless steel appliances, granite counter tops, and recessed lighting. Large bonus room off the kitchen with hardwood flooring, recessed lighting and endless possibilities! Oversized bedroom in the back with direct access to the garage. Large backyard with a covered patio, turf and lots of room for toys and fun! Central ac/ heat, alarm system with cameras and owned solar panels! Thats right. This home has owned solar panels!!! Have little to no electric bill. It is a must see! "Really" in old towne orange walking distance to orange chapman circle, restaurants, shopping, public transportation and schools. Offering an open floor plan with two spacious bedrooms, one full bath (tub+shower) and an indoor laundry room. 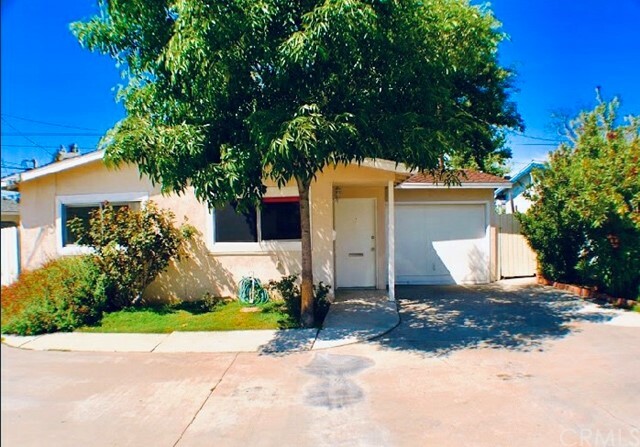 This property sits in a quite cul-de-sac with no traffic noise or no school noise from the rear of chapman university corp. Offices. The entry has a low profile ramp for easy access and there are no steps throughout the house. The updated kitchen opens to the living room. The kitchen includes wood cabinets, brazilian granite counters, and a 3'x7' breakfast bar that opens to the grand room for the living and dinning area with high ceilings, skylights and a wood burning or gas fireplace. A 9' sliding glass door leading out to the covered patio and private fenced wrap around yard with fertile soil that will grow everything. You can enclose the patio with just two walls to make it a 3rd bedroom or ? There is a tank-less water heater in the laundry room also available for a baby room or a private office area. Laundry hookups are also available in the garage or patio. An over sized one car garage with a truck driveway and plenty of street parking nearby. The house is facing the ocean breeze and not setting sun in the summer! 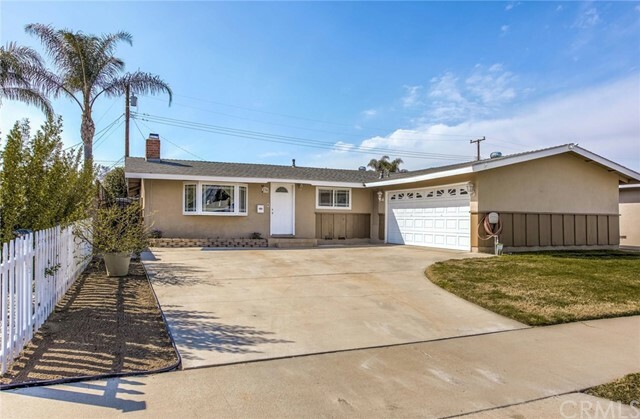 Charming single level home situated in a well established neighborhood in orange. Features 3 brs, 1 full ba & a large covered outdoor patio room for all your entertaining needs! Gorgeous original refinished hardwood floors, fresh paint and new lighting throughout. Spacious living room with wood burning fireplace (plumbed for gas as well). 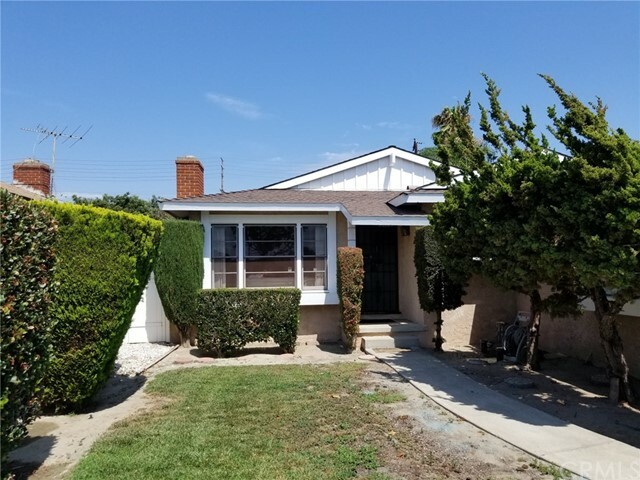 Remodeled kitchen includes new, commercial-grade laminate flooring, plenty of cabinet space, granite counter tops, gas cook top/oven & dishwasher. Newly remodeled bathroom features porcelain floors, beadboard and all new fixtures, including rainfall shower head with wand and a 60" tub for luxurious soaking. 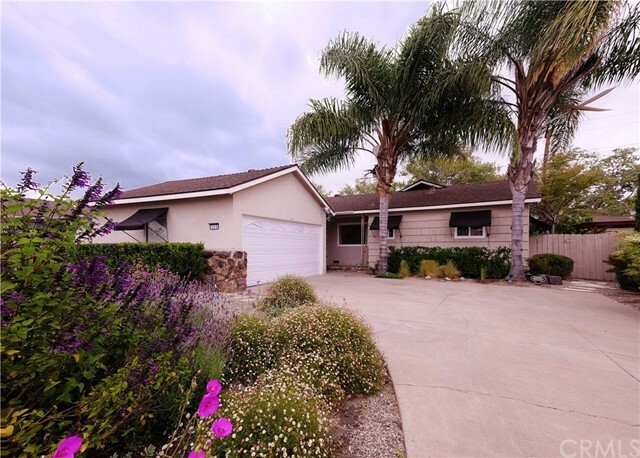 This home also has great curb appeal - front yard features water-conscious irrigation in addition to french & english lavender, santa barbara daisies, rosemary as well as blooming succulents. Newer windows and all new plumbing. Central air conditioning and heating. 2-car garage features steel roll-up door with automatic opener and commercial-grade, epoxy floor. The over-sized driveway accommodates several vehicles. Sitting on a generous, 7000+ sq ft lot, this home gives you so much opportunity to play, relax, and enjoy the california sunshine. Conveniently located near choc hospital and within walking distance to the shopping and restaurants. Easy access to major freeways and near professional sports arenas. A true gem - turnkey and ready for you! Hampton court - one of the best places to call home in orange! These attached single family residences are rarely available, have sought after amenities and have location, location, location!! Within easy walking distance to old towne orange, metrolink station, and chapman university, this gated community even has a pool and spa! This 3-bedroom, 3 bath townhome design has 1,193 sq. Ft. Of living space and an attached garage with direct access to the interior. The large master suite has an ensuite, walk-in closet, vaulted ceilings and large windows that provide abundant light. The other 2 appropriately sized bedrooms share a full bath with dual sinks and tile counters and floors. The first floor has a well-designed kitchen with all the necessary appliances and is open to the dining and living room areas. With cathedral ceilings, gas fireplace and access to the rear yard through french slider, the living room provides a multitude of entertaining opportunities. The rear yard is completely fenced and provides additional space for bbqing and relaxing. In addition to the 2-car garage, guest parking is provided at various locations inside the development. This 4 bedroom 2 bathroom home in south west orange has 1,227 sq. Ft. Of living space. As you walk through the front door you are welcomed by the cozy family room and painted brick fireplace. You will immediately notice the open feeling of the vaulted ceilings that stretch throughout the home, including all 4 bedrooms. The dining area is conveniently located adjacent to both the kitchen and family room. The tile flooring in the dining room flows throughout the kitchen and as you stand at the kitchen sink you have a fantastic view of the well-landscaped back yard. Inside laundry is available in the kitchen area. To the right of the family room is a hallway that leads to the 4 bedrooms and hall bathroom. The first bedroom on the right has wood wainscot on 2 walls, and the second bedroom on the right is the master suite. The first bedroom on the left side of the hallway (adjacent to the kitchen) has tile flooring, a dual pane vinyl slider leading to the backyard, and a ceiling fan. The second bedroom on the left is adjacent to the hallway bathroom and has a view of the backyard landscaping. Both bathrooms have vinyl flooring. The hallway bathroom has a shower-tub while the master bathroom has a walk-in shower. The spacious backyard has a metal shed and above ground pool. There is plenty of room left over for a sizable lawn, concrete patio, rose bushes, an apple tree, and an extra wide side yard that is perfect for gardening.